After The Zoo closes for the day, four adventurous animals escape their cages and challenge each other to an exciting round of disc golf! 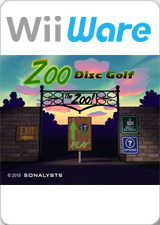 The Zoo Disc Golf Course is spread across 18 different zoo enclosures, each posing unique challenges. Play the part of a Meerkat, Rockhopper Penguin, Kangaroo or Panda and test your skills against the course and up to three other players! The graph below charts the compatibility with Zoo Disc Golf since Dolphin's 2.0 release, listing revisions only where a compatibility change occurred. This page was last edited on 15 January 2018, at 08:12.